These Full Color Designs are sold in sets (2 sides & 1 rear). 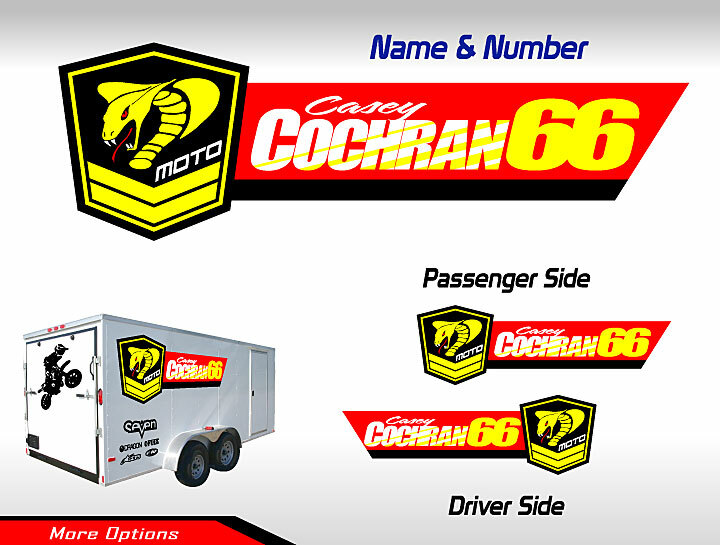 Trailer Graphics are made from high gloss, high quality vinyl, the same commercial grade materials used on all delivery vehicles (FedEx, UPS etc.) Trailer graphics are premasked and have a bubble free adhesive for easy installation. Customize - Name & Number. SM - 2 sides 12" x 36"
MF - 2 sides 15" x 36"
LG - 2 sides 23" x 72"
XL - 2 sides 31" x 96"